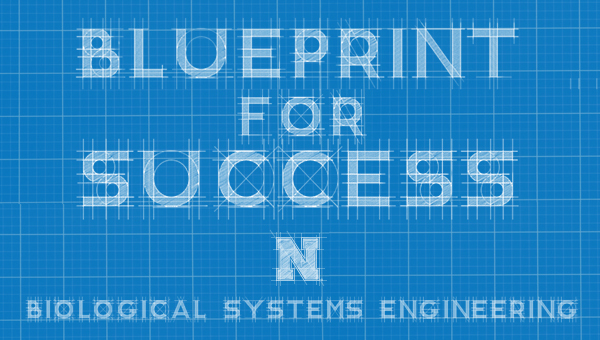 Over the past five years, the Department of Biological Systems Engineering has had an enviable run of winning highly competitive national awards, including those recognized by the National Research Council, which tracks highly prestigious research honors. The department’s success isn’t a matter of luck – it’s the result of a culture that values teamwork and professional engagement. At its annual meeting this summer, the American Society of Agricultural and Biological Engineers will honor University of Nebraska-Lincoln researchers Derek Heeren and Yufeng Ge with two of ASABE’s most prestigious early career awards. Heeren and Ge, both assistant professors of biological systems engineering, have earned the A.W. Farrall Young Educator Award and the New Holland Young Researcher Award, respectively, for their contributions to teaching, research and service. The awards are impressive in their own rights. Both are highly regarded honors for scholars under age 40. But perhaps more remarkably, they extend BSE’s trajectory of ASABE awards success. Since 2012, Nebraska faculty have received 10 of the organization’s 27 major awards and two ASABE fellowships. Counting Heeren and Ge’s honors, BSE scholars have been tapped for all four of the association’s early career awards in the past three years. The winning streak stretches beyond ASABE. In 2017, Angela Pannier was the first Nebraska researcher selected for the National Institutes of Health Director’s New Innovator Award; Joe Luck was PrecisionAg’s Educator/Researcher of the Year; and Mark Riley became a fellow of the American Institute for Medical and Biological Engineering. “These awards are a recognition of our faculty doing really exceptional things,” said David Jones, interim department head. The pattern of achievement is no accident, according to Jones and other leaders. It’s the result of a strategic effort to hire top-notch faculty, develop a system for identifying nominees and building award applications, and foster a culture that views awards as a boost to the department’s and university’s profile. Awards wouldn’t be possible without excellent faculty, said Ron Yoder, Institute of Agriculture and Natural Resources senior associate vice chancellor. Yoder was BSE’s leader from 2004 to 2011 and said hiring people with great potential – then supporting them in their research, service and outreach – is the bedrock of BSE’s success. IANR faculty hiring initiatives during the past decade have been extremely fruitful for BSE, which was able to recruit faculty to Nebraska when hiring at other universities slowed. The department chose the cream of the crop and created mentoring relationships between seasoned faculty and the new cohort, which increased the capacity for collaboration and resource sharing. “We really tried to hire people who would connect in, as opposed to people who would go in radical and different directions,” Riley said. Department leadership encourages new hires to engage in professional service, which not only promotes the greater good of science, but also helps early career faculty understand how the societies work and exposes them to colleagues who may serve on future awards selection committees. Faculty also learn that professional service and leadership – as well as the honors and recognitions that may follow – are linked to their success. Annual departmental reviews address professional participation and awards, which can motivate scholars seeking tenure and promotion. Forming an awards committee was integral to the department’s success. Composed of up to five members, the committee identifies and encourages potential nominees, ensuring a smooth application process. The team features a mix of faculty, with at least one member representing the individual areas of extension, teaching and research. It also includes a staff member who helps coordinate applications. During his tenure as department head, Riley focused on assembling a vibrant, energetic group invested in the nomination process. Jeyam Subbiah, the Kenneth E. Morrison Distinguished Professor in Food Engineering and a professor of biological systems engineering, chaired the committee for nearly eight years. He said having a formal process helps overcome one of the biggest obstacles to winning awards: faculty’s reticence to seek the spotlight. The committee plays a major role in examining awards criteria and strategically identifying prospective nominees whose strengths and portfolios align. The group also targets colleagues seeking a promotion or a resume boost, Subbiah said, because they are especially motivated to develop a high-quality application. To help nominees, the committee finds letter writers who can pen the tailored, precise recommendations required for a winning nomination. Staff provide additional help with the applications. Jones said these contributions are a crucial leg up for overburdened faculty. To foster an appreciation for winning awards, the department publicly recognizes recipients. Monthly faculty meetings, as well as coffee-and-donut gatherings open to faculty, staff and students, begin with “good news” announcements, where recent honorees are announced. The celebration extends beyond honorees to acknowledge the efforts of nominators and the awards committee. Though this behind-the-scenes work may not be glamorous, it’s a necessary step on the road to success. The department also has a small-scale “wall of fame” that displays recent certificates and awards for faculty, staff and visitors. The point of public recognition isn’t to elevate individual faculty or create an awards-obsessed environment, but to highlight the department’s collective success and offer a reminder that faculty and staff members’ work matters outside the university.